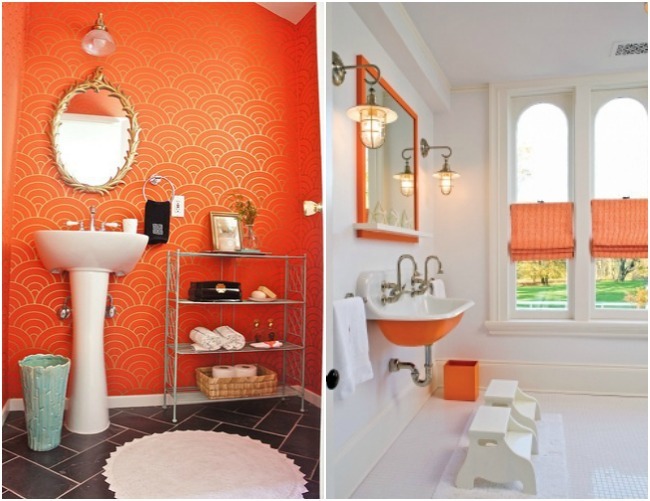 which way would you do your white + orange bathroom? white with orange fixtures and decor or orange with white fixtures and decor. my initial thought is that orange walls could affect the color you see when you look in the mirror. and if you get ready for the day at your bathroom sink, you really don't want to apply your makeup with the room "glowing" orange. but if you don't get ready in the bathroom, i say go for it!